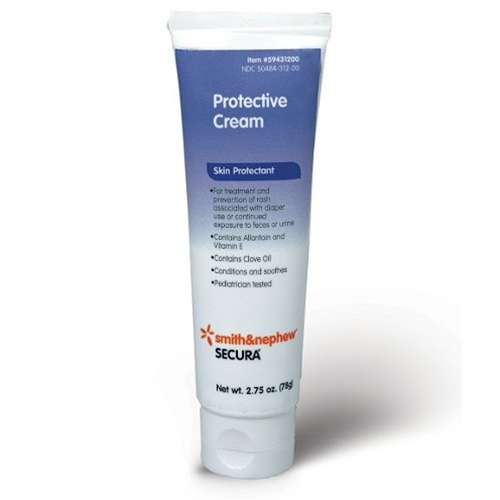 Secura Protective Cream from HealthyKin.com soothes irritated skin, moisturizes skin, protects against damage from irritating urine and feces. Cost-Effective- The use of Secura Protective Cream and cleanser significantly reduced the incidence of costly skin breakdowns from 24.2% to 0.9% over an 8-month period. Prevention cost was less than $1.50 a day. Secura Protective Cream efficacy and safety have been demonstrated in clinical studies. Secura Protective Cream 10% zinc oxide is indicated for the treatment and protection of skin exposed to urine and feces. For external use only. Avoid contact with eyes. If this occurs, flush eyes thoroughly with water. Ingestion of large quantities can be hazardous. If skin condition worsens or does not improve within seven days, discontinue use and consult a physician. Works wonders on keeping area dry and allows for quick healing process where there are folds in the skin. Thank you!